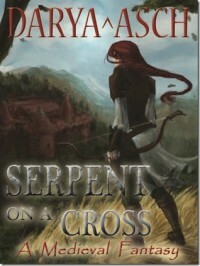 Serpent on a Cross (Book #1) - There Are Inkspots On My Page! This was quite a fun book. Well-written, easy to read, good plot. It’s quite obvious that a lot of time has been spent researching both the era (medieval Europe) and Jewish culture. The other part I both enjoyed and struggled with at the same time was the Jewish references. Look, the book is a Jewish fantasy novel, by definition, it will have a very large amount of cultural, religious and language references. That was awesome - it’s not something I know a lot about so being able to learn something (anything) was wonderful. But more than once, I was left a bit confused by Yiddish words being used where context gave no idea to meaning, and often it seemed thrown around for the sake of reminding the reader that this is a Jewish novel. I’m very curious to see how the story progresses, and I do recommend it to anyone wanting something a little different out of their high fantasy, but know that you won’t be finding anything ground breaking as far as underlying plot elements go - just the potential for a great series.